1دانشجوی دکتری اندیشه سیاسی دانشگاه تربیت مدرس. یکی از اتهامات منجر به محکومیت سقراط، بی‌دینی بود. از آنجا که آتن نیز مانند دیگر دولت شهرهای یونان عصر سقراط، مذهبی مدنی داشت یا به‌عبارتی مذهب و سیاست درهم‌تنیده بودند، بی‌دینی به‌منزله عامل تهدید دولت‌شهر و جرمی مدنی محسوب میشد. بنابراین اتهامات مذهبی میتوانست همچون یک اقدام سیاسی خرابکارانه، سقراط را به مرگ محکوم کند. از طرفی در آپولوژی شواهدی دال بر دینداری سقراط وجود دارد که به‌صورت سوگند به خدایان دولت‌شهر یا یادآوری خدمت به آنها، در اتهام بیدینی شبهه ایجاد می‌کند و این پرسش را دامن می‌زند که چرا سقراط به‌رغم وجود شواهدی مبنیبر دینداری‌اش به اعدام محکوم می‌شود؟ این مقاله، ضمن نشان دادن ماهیت دینداری سقراط، تفسیری از نزاع خاموش سقراط و آتن که در صحنه دادگاه و اظهار دفاعیاتش آشکار می‌شود، به‌دست می‌دهد. بر این اساس، ضمن اشاره مقدماتی به جایگاه دین در دولت‌شهر آتن، توضیح داده می‌شود که سقراط در پیام و ارتباط الهی غرق نمی‌شود بلکه با وارد کردن توجیهات شخصی مبتنی بر سلبیت، به تجربه شخصی ایمان دینی می‌پردازد و دین رسمی را به‌چالش می‌گیرد؛ بدون آنکه دین جدیدی را جایگزین کند. (ed. ), Socrates: Critical Assessments, London: Routledge. Brickhouse, T. & Nicholas, S. (1989) Socrates on Trial, Oxford: Clarendon Press. Bussanich, J. (2006) “Socrates and Religious Experience”, in S. Ahbel-Rappe & R.
Kamtekar (eds), A Companion To Socrates, London: Blackwell. Colaiaco, J. (2001) Socrates against Athens, London: Routlege. Sokrates), Translated by Mohammad Hassan Lotfi, Tehran: Tarh-e No. of Greece Philosophy), Translated by Mohammad Hassan Lotfi, Tehran: Fekr-e Roz. Mohammad Hassan Lotfi, Tehran: Xârazmi. (eds), A Companion To Socrates, London: Blackwell. Rappe & R. Kamtekar, (eds), A Companion To Socrates, London: Blackwell. Marinatos, N. (2000) The Goddess and the Warrior, London: Routledge. 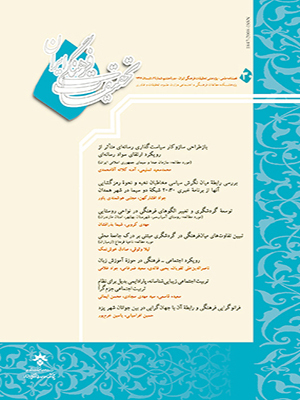 Translated by Ahmad Azimi Boloriyân, Tehran: Rasâ. (eds), A Companion to Socrates, London, Blackwell. Sedley, D. (2004) The Midwife of Platonism, Oxford: Oxford University Press. Memories), Translated by Mohammad Hassan Lotfi, Tehran: Xârazmi. گاتری، دبلیو.کی.سی (1376) تاریخ فلسفه یونان،حسنفتحی،ج12،تهران :فکر روز. Allen, R. (1996) “The Trial of Socrates: A Study in the Criminal Process”, , in J. William (ed. ), Socrates: Critical Assessments, London: Routledge. Bussanich, J. (2006) “Socrates and Religious Experience”, in S. Ahbel-Rappe & R. Kamtekar (eds), A Companion To Socrates, London: Blackwell. Dodds, E. (1973) The Greeks and the Irrational, California: University of California Press. Gallop, D. (1999) Plato: Defense of Socrates, Euthyphro, Crito, Oxford: Oxford University Press. Janko, R. (2006) “Socrates: The Free Thinker”, in S. Ahbel Rappe & R. Kamtekar (eds), A Companion To Socrates, London: Blackwell. Long, A. (2006) “How does Socrates' Divine Sign Communicate with Him?”, in S. Ahbel-Rappe & R. Kamtekar, (eds), A Companion To Socrates, London: Blackwell. Snell, B. (1982) The Discovery of the Mind in Greek Philosophy and Literature, New York: Dover Publications. Vlastos, G. (1996) “Socratic Piety”, in William J. Prior (ed. ), Socrates: Critical Assessments, London: Routledge. _____ (1997) Socrates: Ironist and Moral Philosopher, Cambridge: Cambridge University Press. Weiss, R. (1996) “Virtue without Knowledge: Socrates’s Conception of Holiness in Plato’s Euthyphro”, in William Prior (ed. ), Socrates: Critical Assessments, London: Routledge.